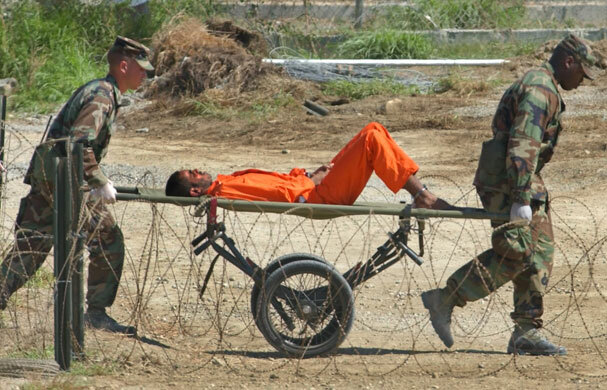 “Look at the current situation,” Obama said in 2013, “where we are force-feeding detainees who are being held on a hunger strike… Is this who we are?” Well, it is certainly who some of us have become, including Obama, the senior authority in charge of the soldiers doing the force-feeding, and a human chameleon able to express outrage at his own policies, a trick that is perhaps more central to the mainstreaming of vicious and sadistic practices than we always care to acknowledge. A competition between these types of ethics quickly becomes silly, while an appreciation of them as a collection of insights proves valuable. A consequentialist or utilitarian ethics is easily parodied and denounced, in particular because supporters of torture volunteer such arguments. Would you torture one person to save the lives of two people? Say yes, and you’re a simple-minded consequentialist with no soul. But say no and you’re demonstrably evil. The correct answer is of course that it’s a bad question. You’ll never face such a situation, and fantasizing about it is no guide to whether your government should fund an ongoing torture program the real aim and results of which is to generate war propaganda, scare people, and consolidate power. David Swanson serves as Secretary of Peace in the Foreign Affairs Branch of the US Green Party, Green Shadow Cabinet. This entry was posted in Activities and tagged David Swanson, Green Shadow Cabinet, Mainstreaming Torture, Rebecca Gordon, Secretary of Peace, the US Green Party, Torture is Mainstream Now, U.S. government by tamesidegreens. Bookmark the permalink.